Description Copy of 237a and same image as 237c & 1539. (237a is most complete.) 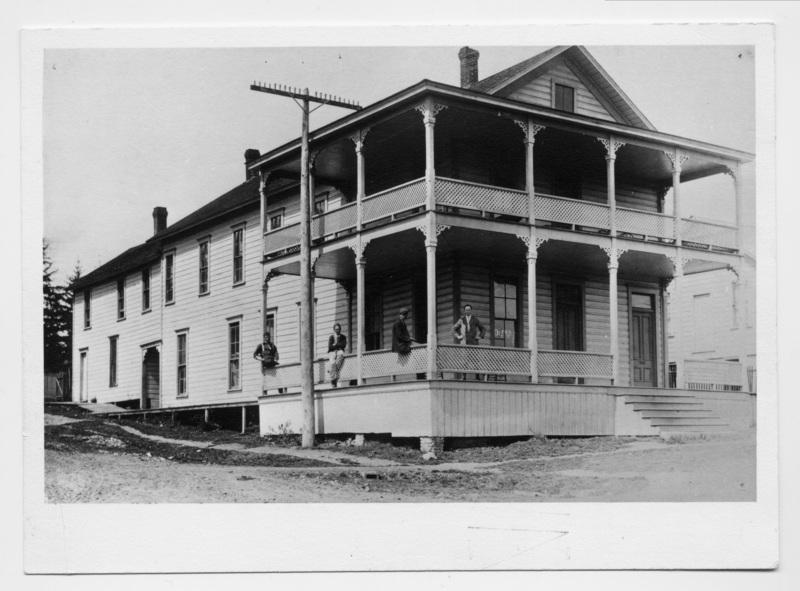 Owned by Jermiah & Ella Johnson; located on the NW corner of 1st & B; demolished in 1959. Sign in window: Office. Transcription Johnson Hotel - L.O.